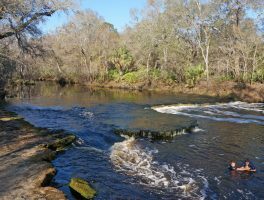 Waterfalls in Florida | Florida Hikes! 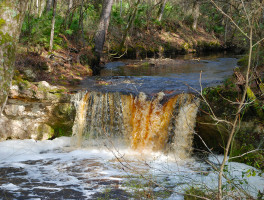 Places to see natural waterfalls on Florida's public lands. 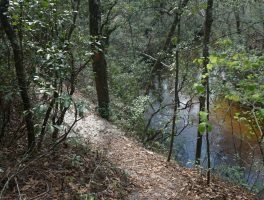 Iconic as the home of Florida’s tallest waterfall, Falling Waters State Park is a showcase for Florida geology just south of I-10 in Chipley. 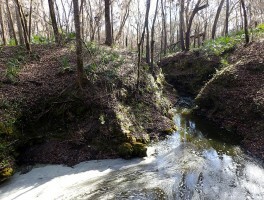 Follow the Sinkhole Trail to see the waterfall and some very deep sinkholes. 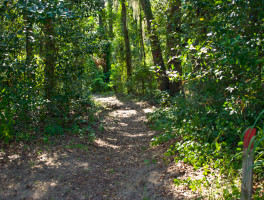 Geology is the focus of Falling Waters State Park, which sits atop a tall ridge. 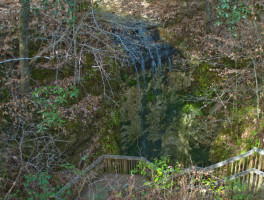 The cascade plunges more than 70 feet into a cylindrical sinkhole lined with ferns and mosses, and the observation platform is about a third of the way down. 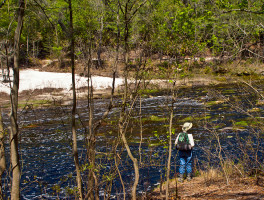 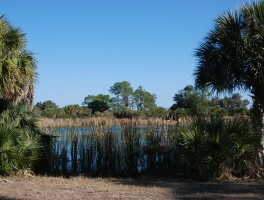 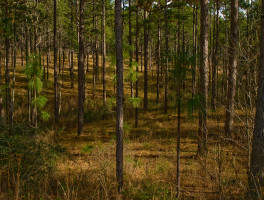 Circling Lake Osprey, the wheelchair-accessible Lake Osprey Trail at Oscar Scherer State Park offers an exploration of the uplands surrounding the artesian-spring-fed waters.